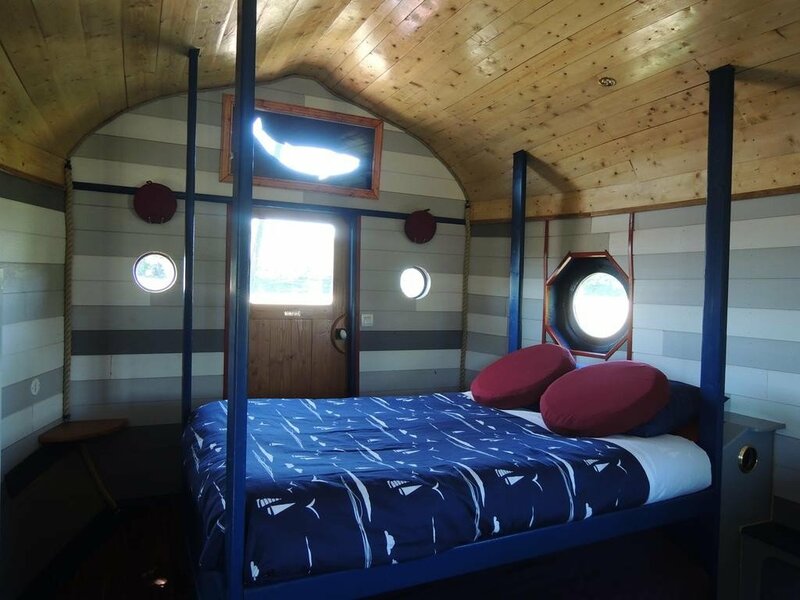 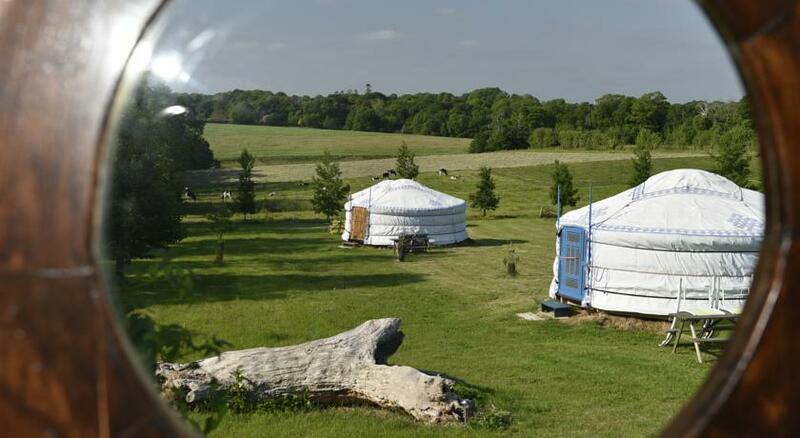 Less than 20 minutes walk from Kérou Beach near Lorient, Brittany, France, this glamping farm stay offers cute accommodation in caravans and yurts among green fields with plenty of space for picnics and barbecues. 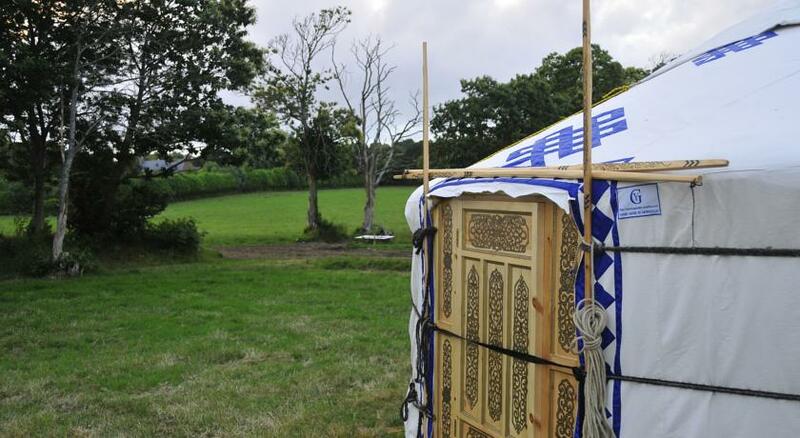 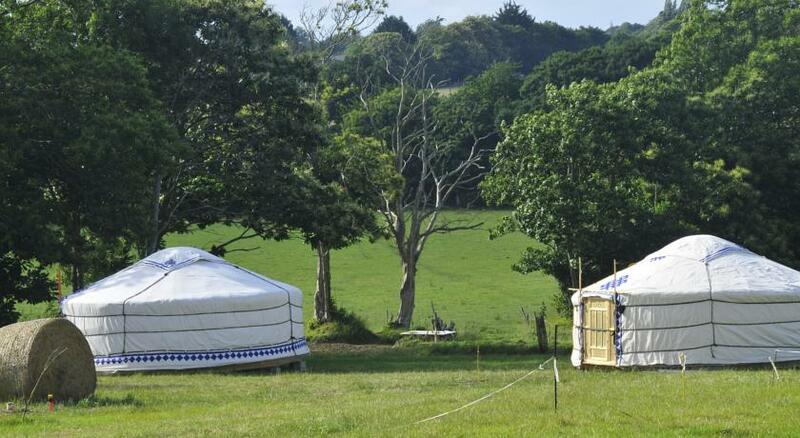 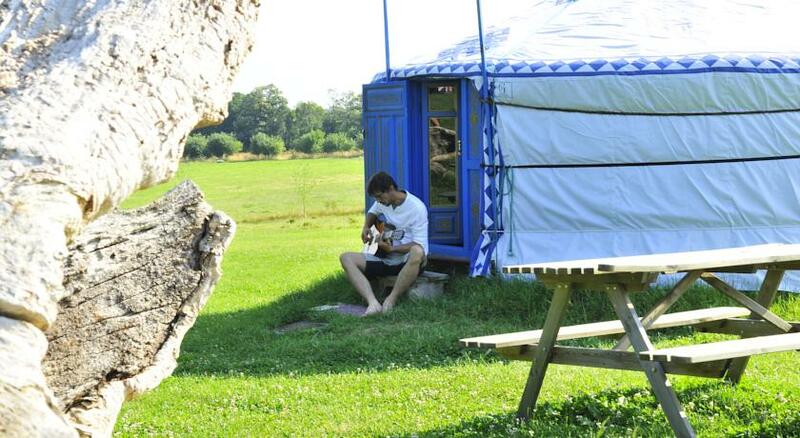 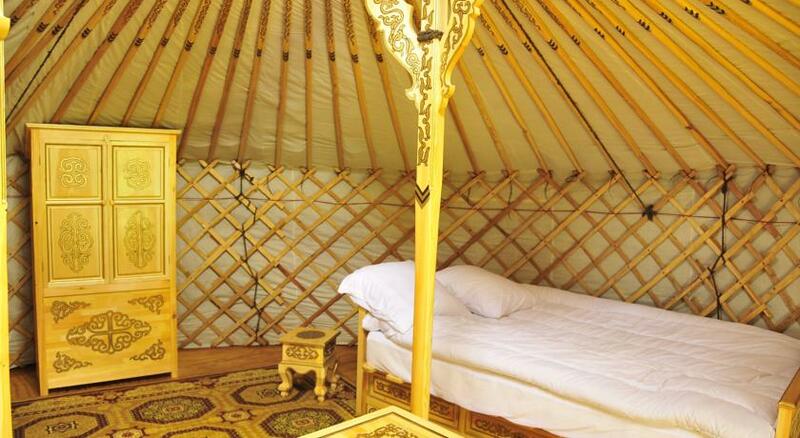 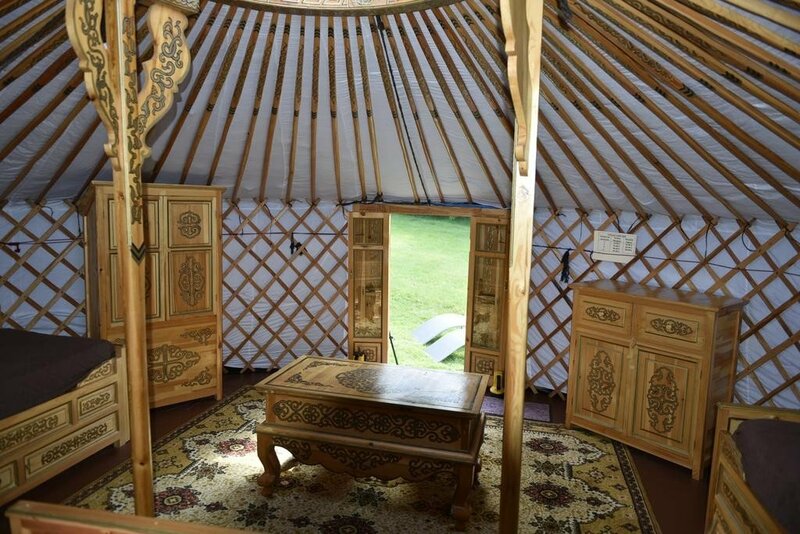 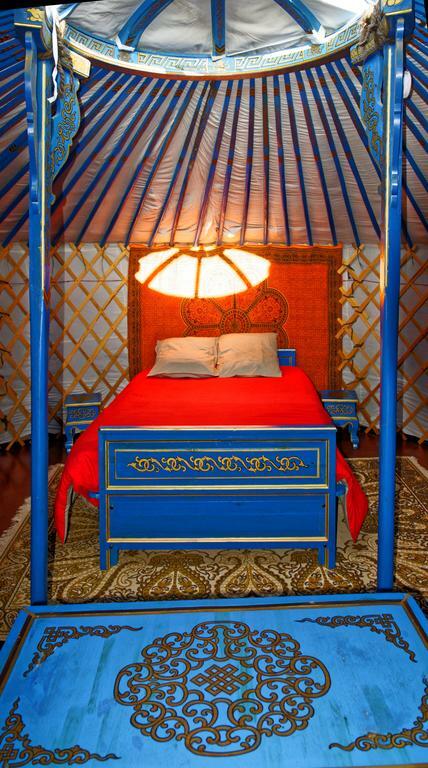 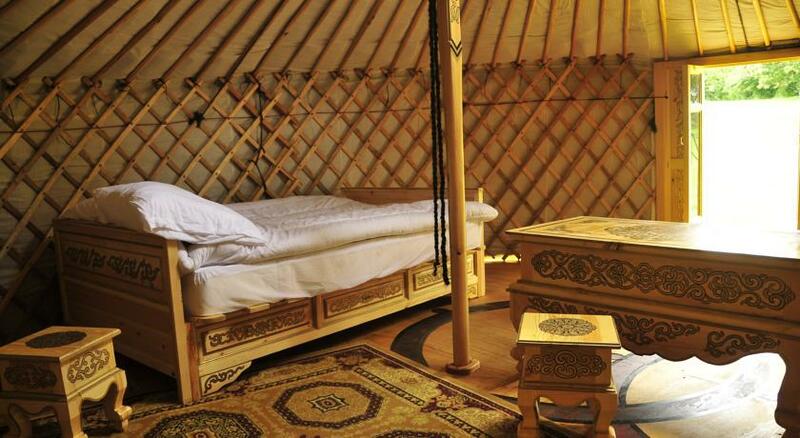 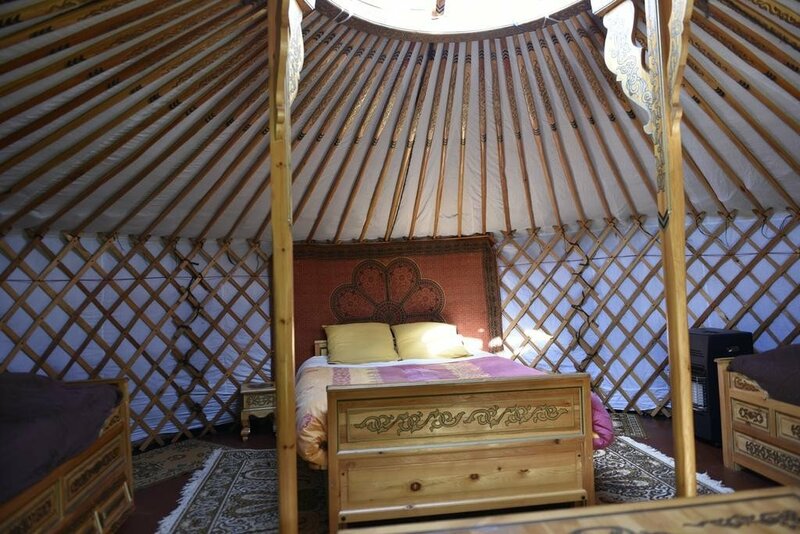 They have three quite impressive large yurts with heating that can sleep up to four people each. 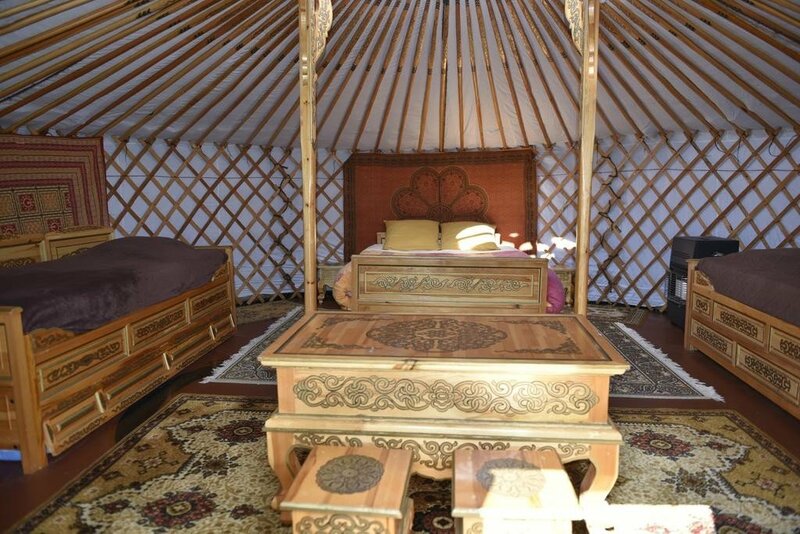 They’re all nicely furnished, and decorated with a somewhat exotic pan asian style. 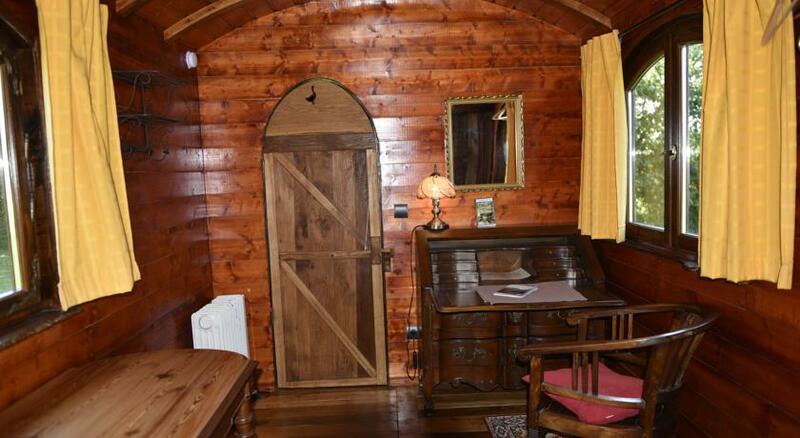 You’ll have one double and two single beds, a small seating area there and full access to the shared bathroom, shower room and full kitchen and dining room at the main farmhouse. 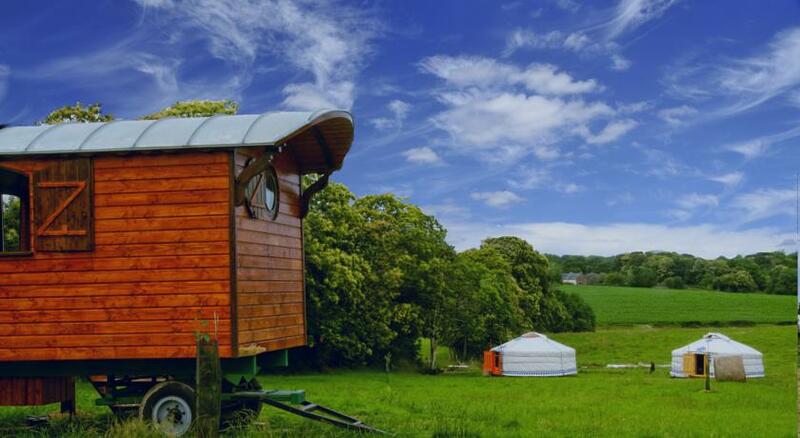 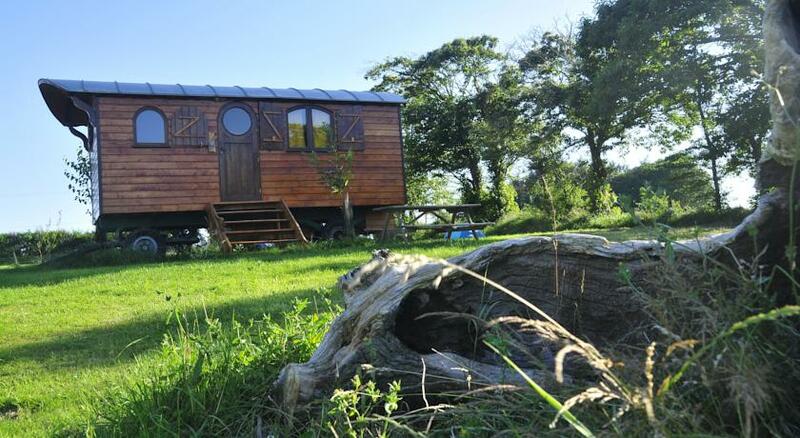 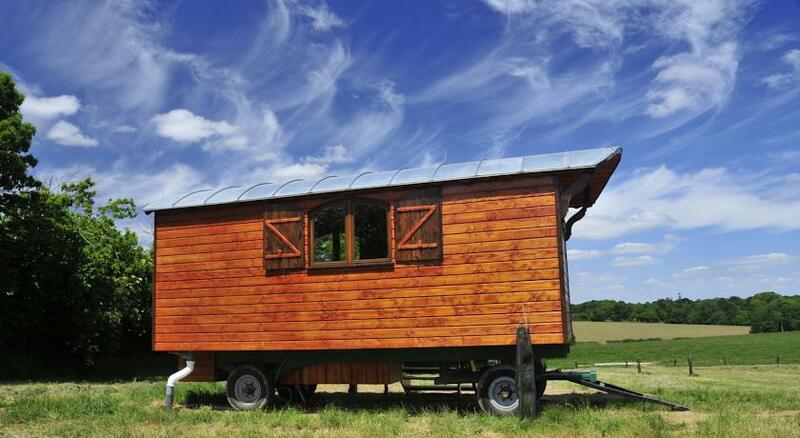 There is also the very cute wooden gypsy caravan at the farm. 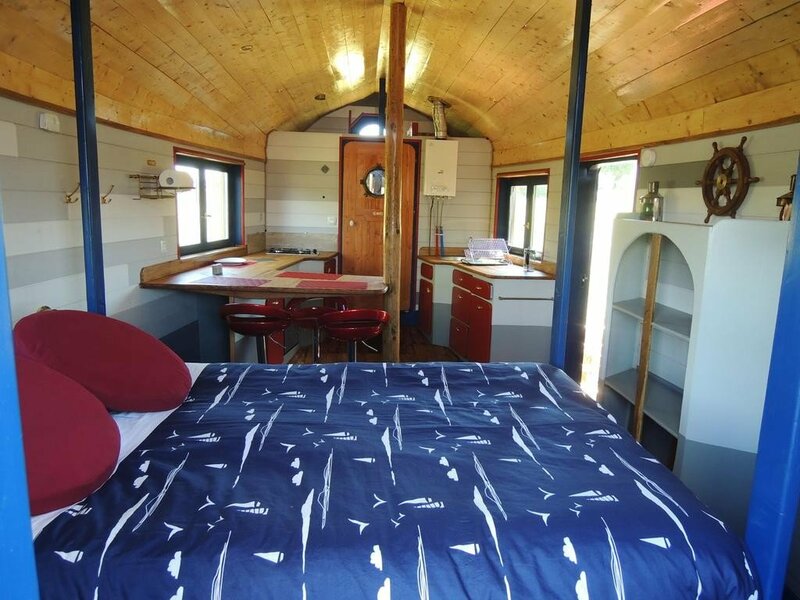 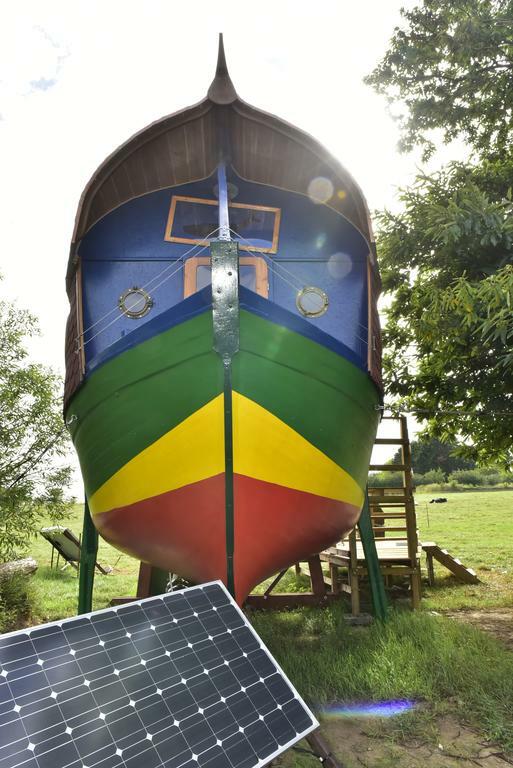 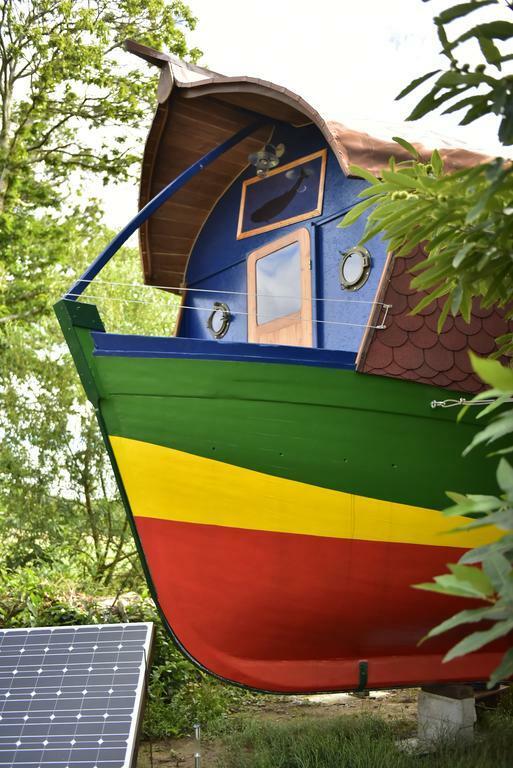 It is also heated and comes with one double and one single bed, a study desk and small seating area, and an en-suite bathroom with shower. 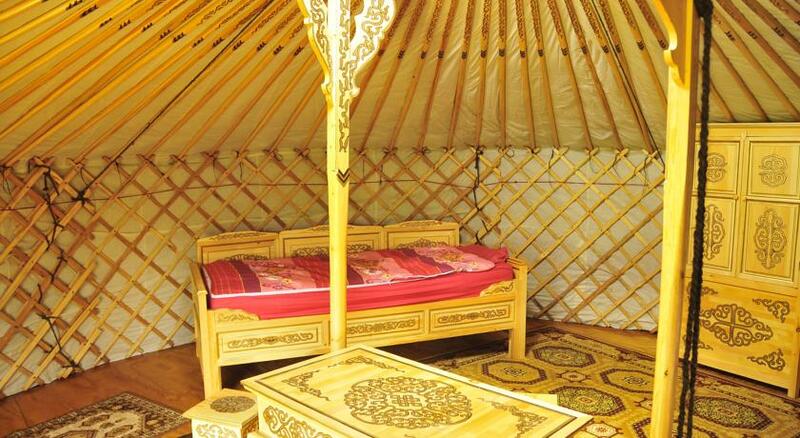 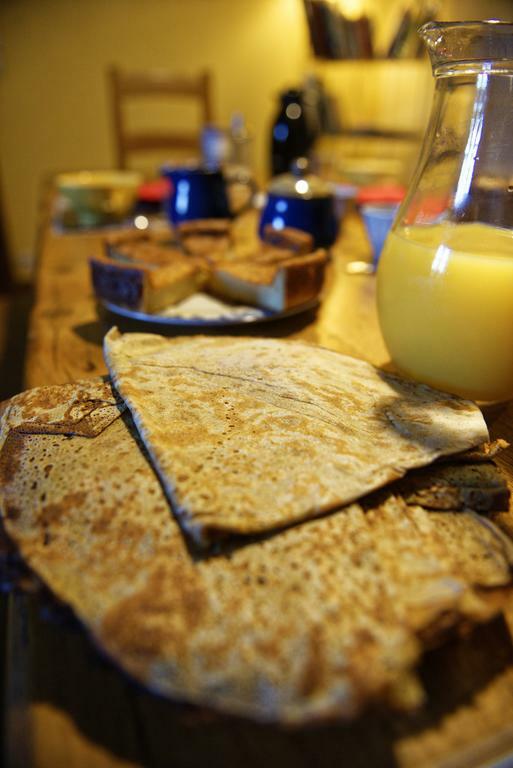 And again just like the yurts guests here have full access to the sociable shared kitchen and dining room. 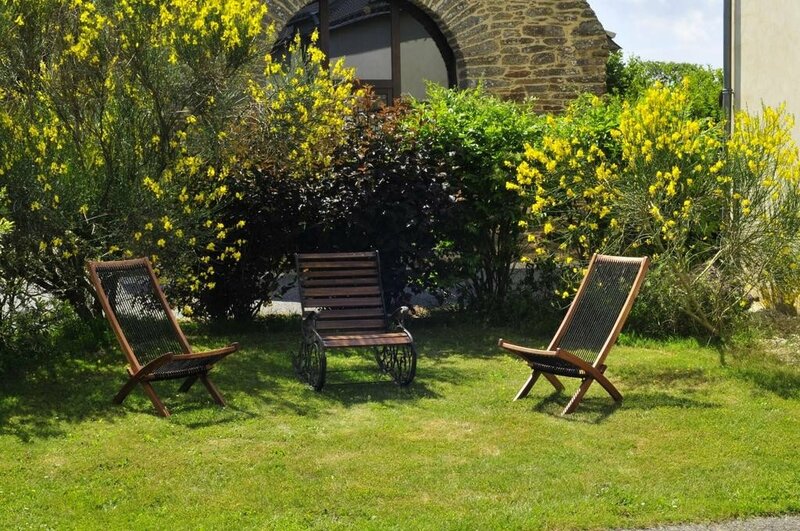 There are also barbecue facilities, and outdoor furniture, at the farm that everyone is of course welcome to use. 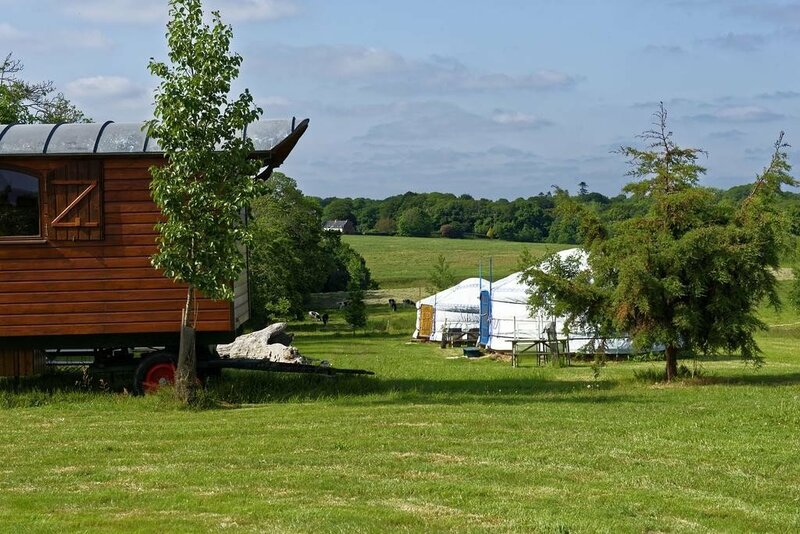 They can serve you a nice continental breakfast too for a small extra charge and they can arrange picnic hampers and packed lunches for those of you who want to get out and about. 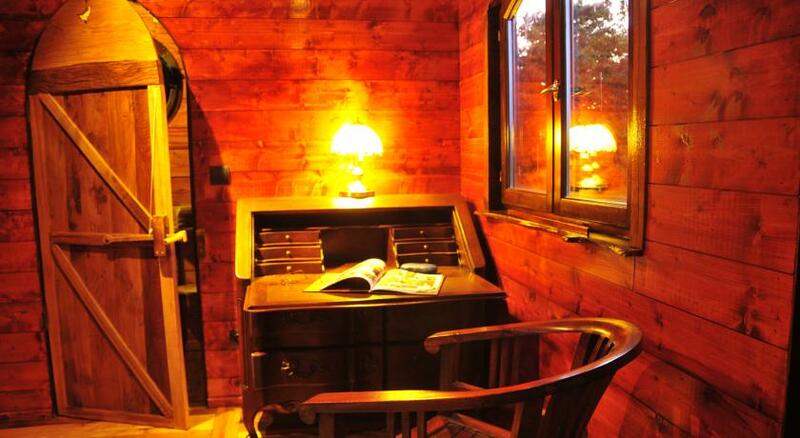 And, to help you out even more they also arrange bike rental including electric bike rental. 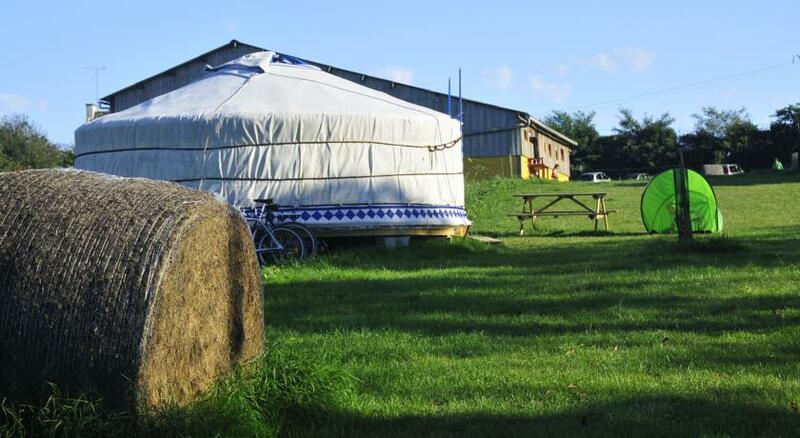 The farm is about half an hour’s drive from Lorient in southern Brittany, and is in the middle of some lush, verdant countryside. 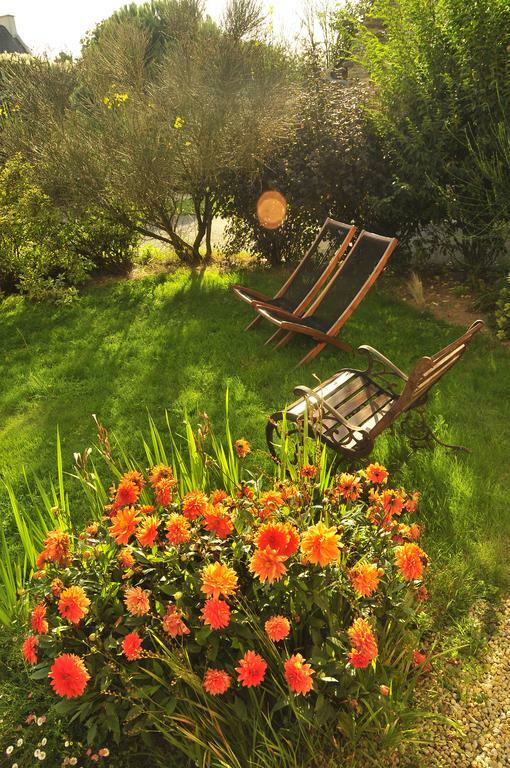 About 13 km north you’ll come to the lovely town of Quimperlé, a tourist favourite in southern Brittany, with a lovely old town and plenty of medieval history. 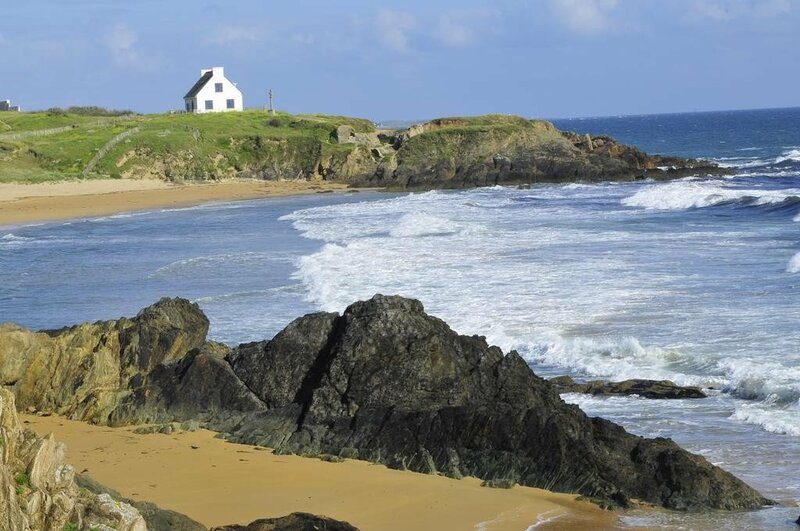 The nearest beach, as mentioned before, is at Kérou, a 15-20 minute walk down through some lovely country lanes. 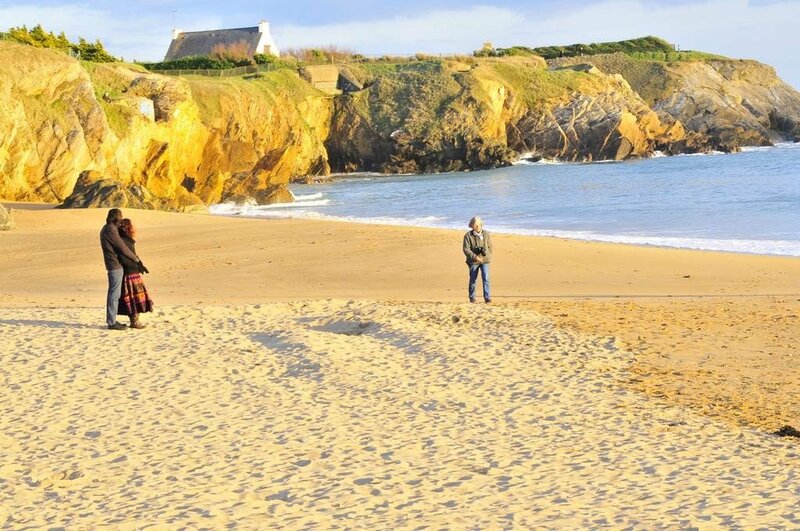 Kérou, like a lot of the beaches on Brittany’s south coast, is more favoured by surfers than swimmers with some pretty big waves rolling in from the Atlantic.